All good things must come to an end and unfortunately pumpkin week is over! Boo-hoo! But not to fret I have one more secret pumpkin recipe coming up this week. In the meantime here’s a wrap of all the recipes I featured this week. 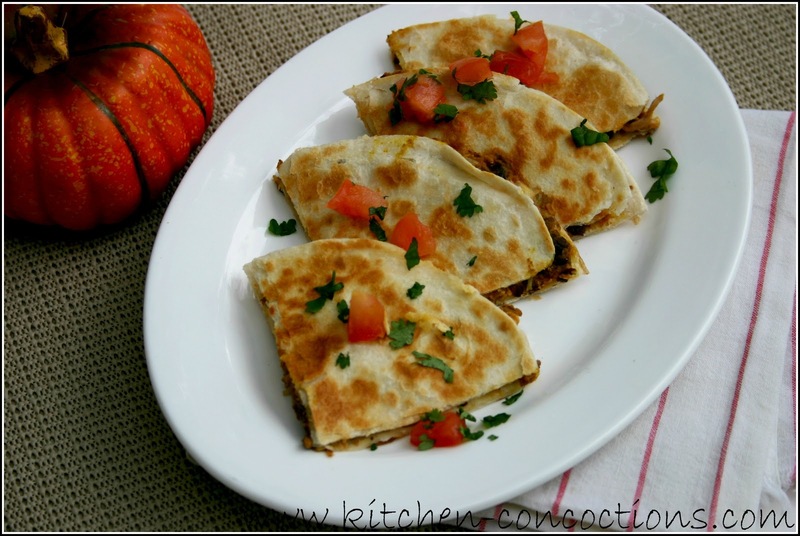 Black Bean Pumpkin Quesadillas, healthy, flavorful, and easy! I totally fell in love with how these turned out. PS if you are wondering WHY you should eat pumpkin (besides the obvious that it tastes great) check out this post for some interesting pumpkin facts. If you are looking for a fabulous dessert to bring to a fall gathering, look no further. 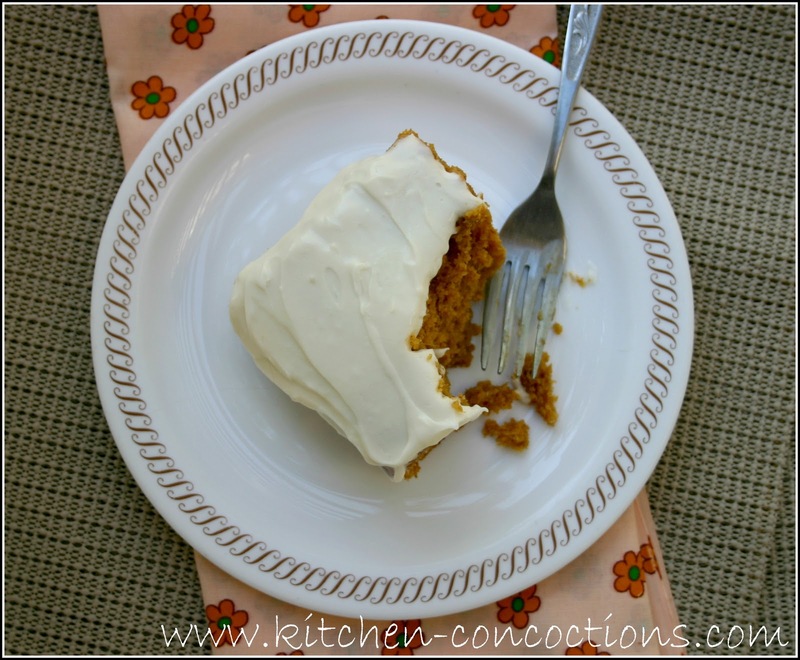 This Pumpkin Cake Bars with Cream Cheese Frosting is THE ONE! Transform your morning breakfast into a fall delight with this Pumpkin Cream Cheese Spread. 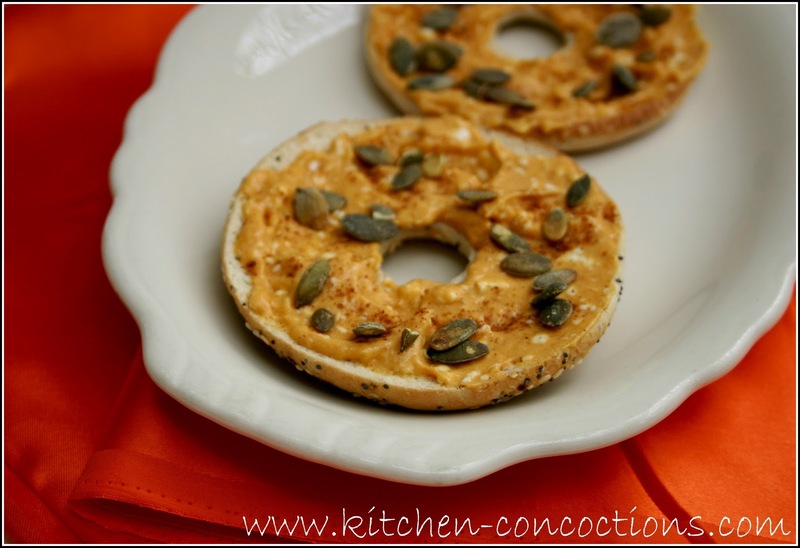 A wonderful topping for bagels, add pumpkin seeds for extra pumpkin flavor and crunch! 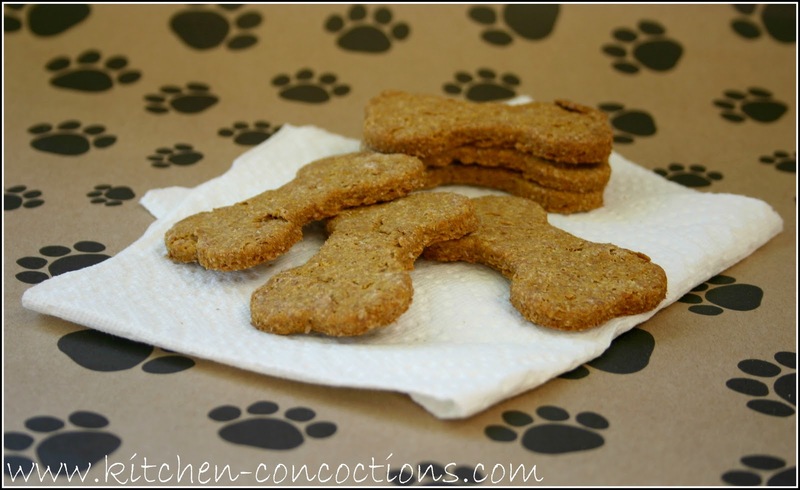 Show your furry friend some love and make some pet friendly Peanut Butter and Pumpkin Dog Treats. Already thinking of Thanksgiving? 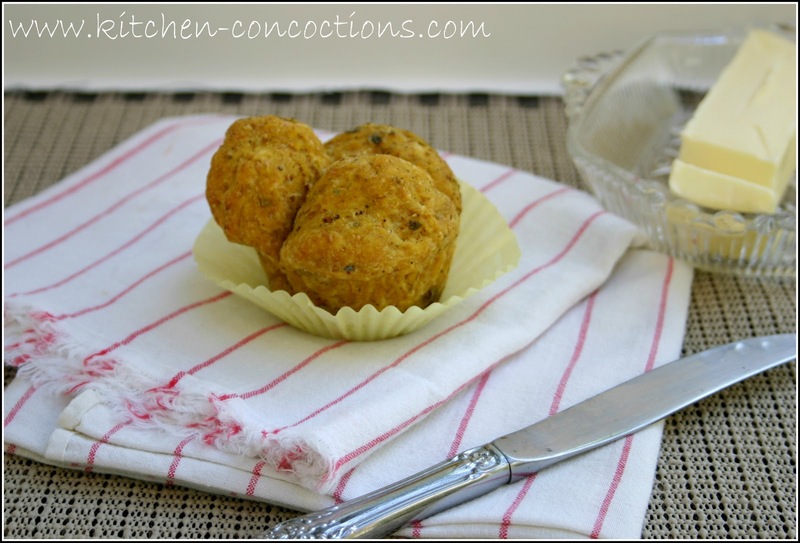 Add these Pumpkin Cloverleaf Rolls which will quickly become a fall favorite. Need more pumpkin? Check out these recipes!